Premium gas runs about 50 cents more than regular these days, and you may have noticed that this seems to be much more expensive than it used to be. You’re not crazy, as the U.S. Energy Information Administration would like you to know. For some reason this press release from the EIA dropped into my inbox this morning, alerting me that the price gap between regular and premium has been on the rise since 2000, and that it’s been stuck at this 50 cent peak since 2016. Nationwide we’re around $2.22 for regular, $2.76 for premium, according to the feds. 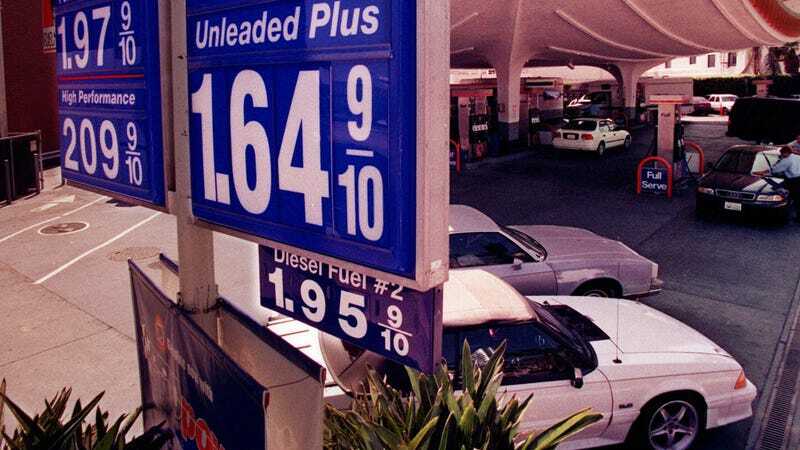 The high cost of high octane gas (premium is 91-93) is tied to how much it costs to produce that extra octane, but there are some interesting other trends to look at, as the federal government would like you citizens to know. The first problem is that more and more cars require premium gas, which the feds attribute to carmakers attempting to meet increasing fuel economy standards with smaller, turbocharged engines. These ‘downsized’ engines game the government’s own fuel economy standards, but find other ways of pulling money out of your pocket. The second problem is that while demand is up, it’s been harder for refiners to make enough high-octane fuel. The easy way to do it is blend in ethanol, but the EIA points out that going above a 10 percent blend to a 15 percent blend would take a lot of money to roll out. The government has been looking into this since 2011. The EIA says this has driven refiners to go looking for other ways of getting octane up, but these are adding demand and cost to gas that production isn’t matching. All of that adds up to 50 cents more per gallon for premium over regular, and don’t expect that to get too much better. Great. Why Do I Feel Like They're Making Up Gas Prices As They Go?